Hello and thank you for stopping by! My name is Heather Gosnell. Mom of 3 boys, Grammy (she calls me Dawnie, bc of my son..from my middle name Dawn) to my sunshine, my Grand daughter. 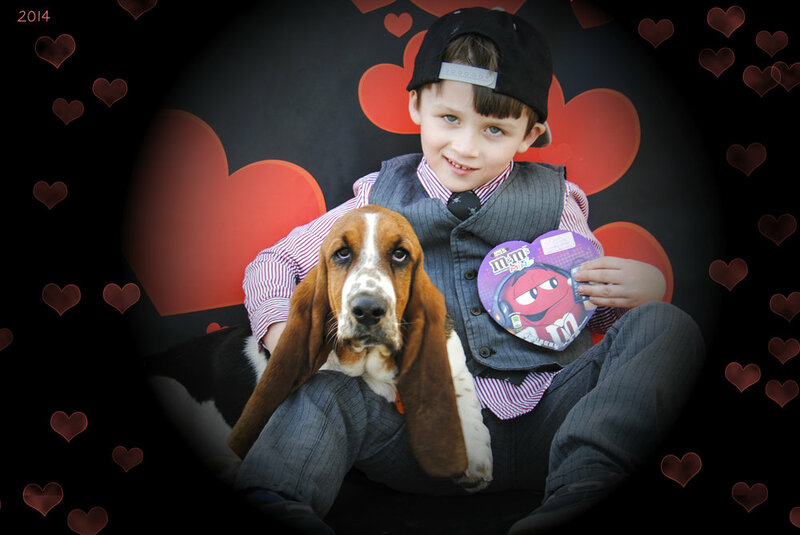 I love photography and design and obviously basset hounds. My husband of 24 years is self employed and has a concrete company here in his home town. He has coached our boys in little league baseball and football for like over 20 years! Being quite good at it, I might add! 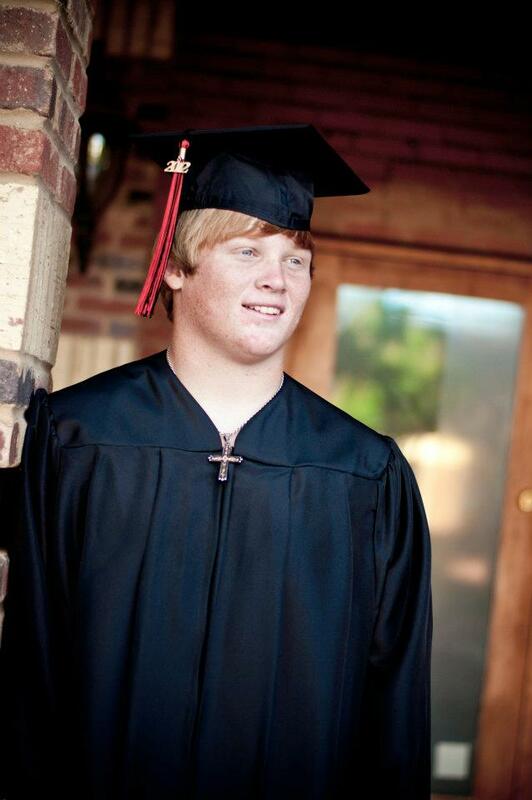 I was raised on the Guadalupe in South Texas but we have raised our boys here in small town of Eastland. My kennel is located in the "Big Country" Deep In The "Heart Of Texas". 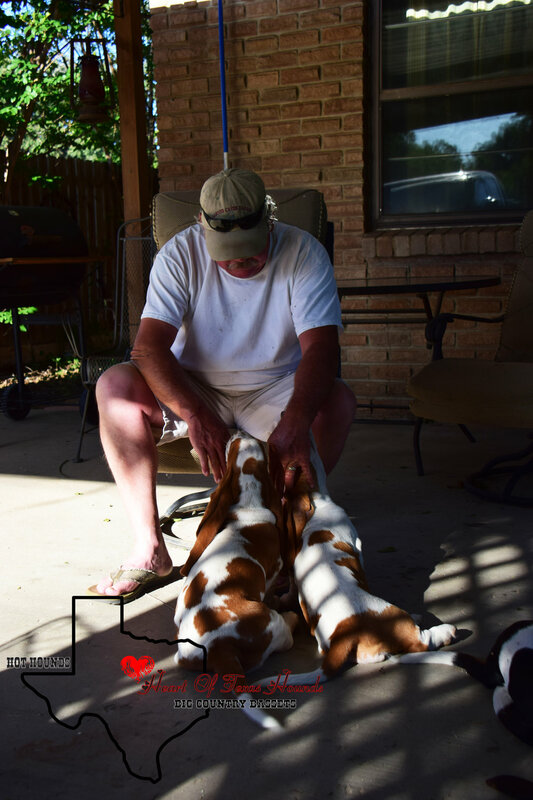 I have been involved with basset hounds since 2008, when we brought our first American AKC basset Bounce to Texas all the way from Idaho, after 2 years of waiting for him. That same year, my last son was born. A surprise blessing for our family of 4 already. My older boys were 15 and 11 at the time. So my plans for our dreams of raising basset hounds were put on hold. My boys were/are very active in sports and FFA. Priorities changed. Two years later I came across Freeduh who was 2 at the time and adopted her from a family. She did not have her papers so I CKC registered all of Bounce and Freeduhs puppies. I have learned so much from them and my journey with them. I am grateful and thankful for them. I have met many people because of them, I have puppies in different states. Bounce is now retired and lives at home, Freeduh retired as well, she now lives with another family. I have had a few years without any puppies, watching my middle son play quarterback in High School football, pitch in baseball, and all the other sports and activities. 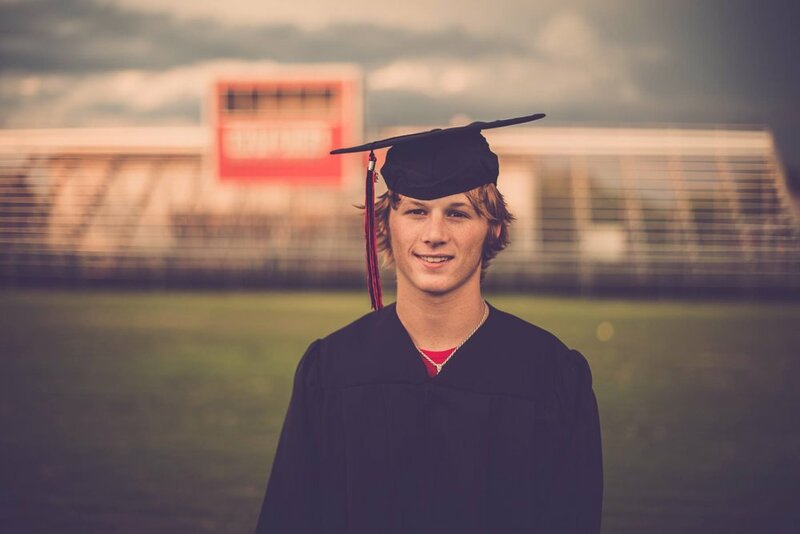 He graduated in 2016. My oldest son who graduated in 2012 has blessed us with a grandaughter! College for the older boys, My youngest son still in grade school. .I haven't been active on social media accounts during this time, now I have more time, new projects are on the way, so stay tuned! I will be leaving old accounts open for reference , but hope to build new followers on the accounts I secured many years ago, but am just now going live with! Links available to all accounts. Please visit and give us a like! My hounds are a dream come true for me. 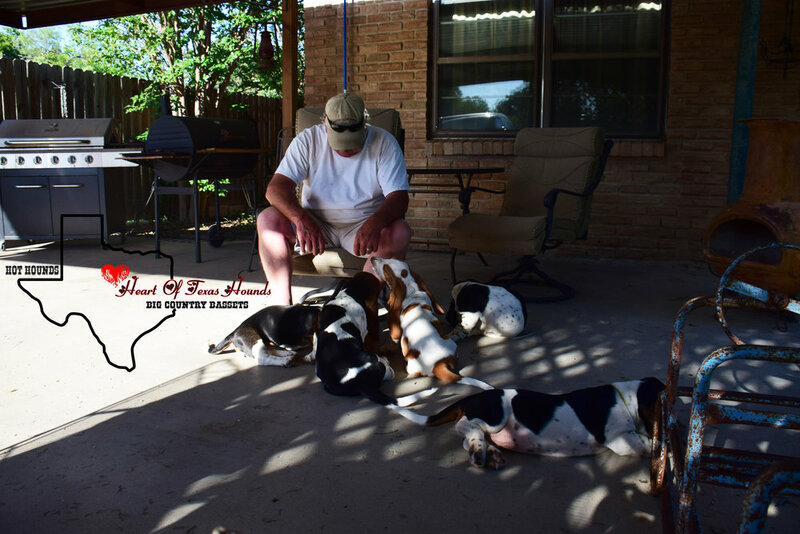 It has been a long, slow road, learning the breed, researching the breed and lines, building kennels for when needed, finding the perfect pair to start my own line. I have hopes and plans for the future of HOT HOUNDS! I have had litters from Bounce and Freeduh over the past years. You can see my story and timeline on my old facebook page Heathers_Hounds. Be sure to stop by my new facebook for future updates and more! I then fell in love with the European lines and had to have one. I am now blessed with 2. Maple Street Is It Love? and Maple Street Jamima. 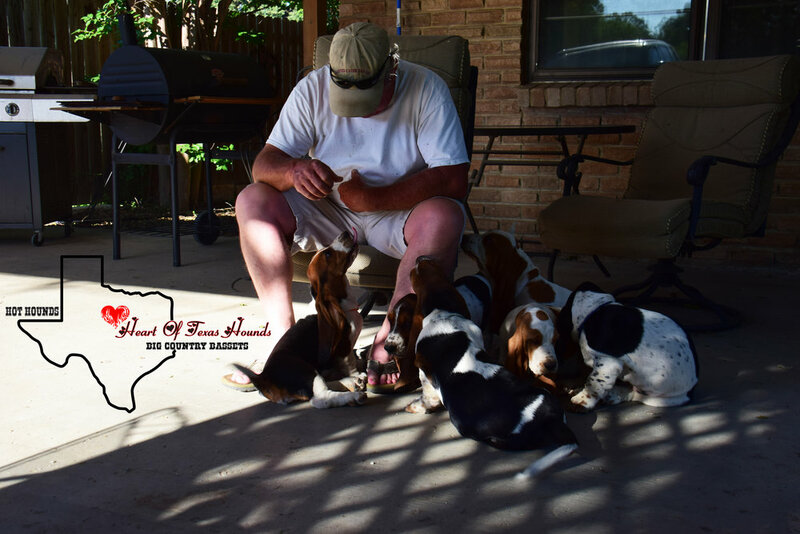 From them I have now had my first litter of AKC 100% European Basset Hound puppies! . I will screen anyone interested in adopting one of my hounds. My hounds will always be welcome home.